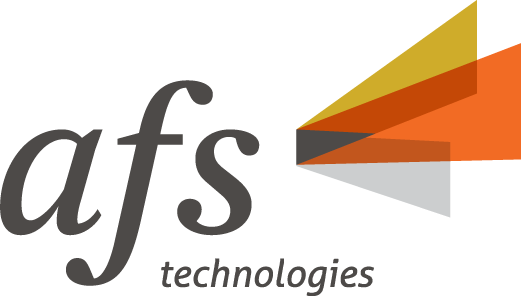 AFS Technologies (AFS) is a leading global provider of solutions purpose-built for consumer goods companies. We are committed to efficiencies in trade spend, retail execution and supply chain. With 30 years of experience, we serve more than 1,300 customers of all sizes, in more than 50 countries, with innovative and configurable solutions that are proven to optimize your potential with automated processes, improved productivity and rapid time to value. AFS Direct Store Delivery (DSD) is a comprehensive software suite that enables superior results across critical business processes such as route creation/selling and loading/delivery, along with reconciliation of all route activities. Business processes related to pre-sales, deliveries, van sales, inventory management, route accounting and settlement are both streamlined and better integrated. AFS DSD helps to build the Perfect Store picture at each retail location by supporting merchandising activities for the traditional trade/direct store delivery channel. With AFS DSD, you can boost your operational efficiencies and maximize customer service while reducing costs and increasing your revenue. Modernized through the latest technologies, the AFS DSD suite provides a robust set of features and functions which provide both the flexibility and configurability to support multiple business processes and user scenarios. The application’s interface design is intuitive thereby reducing user training and support efforts. As a state-of-the-art platform, AFS DSD ensures reliability and scalability across the most demanding scenarios enabling accelerated business growth in both current as well as new markets. Companies that deliver on paper are missing the key advantages of real-time communication and automation. With today’s strict standards for track and trace, extending the automated processes beyond the warehouse to the time of delivery is the next logical step. Knowing the right case was delivered to the right stop at the right time is imperative to protect your customers and your brand as well as to maintain compliance. AFS Electronic Proof of Delivery (ePoD) is a mobile application used in the field to track a product’s activity from warehouse to customer delivery, supporting just-in-time electronic delivery confirmation including signature captures, photos, and GPS coordinates. It also tracks truck inventory on a real-time basis as well as providing a level of customer account information that enables your personnel to make fast and precise deliveries. AFS ERP solution is an enterprise system that is specifically designed for the complexities that are unique for food and beverage distributors and processors, such as: Complex sales performance deals, Extensive bill back management to ensure money isn’t left on the table, Weight, code date, and lot control for full track and trace, Accurate suggested purchase order functionality to buy smarter and reduce inventory investment. When it comes to data analysis, business users typically have two options: company-standard business intelligence software or spreadsheets. AFS™ G2 is an easy-to-use, flexible data analytics solution that is purpose-built for the business user in the consumer goods industry. With more than 20 dashboards, more than 50 solution tabs and more than 100 supported KPIs, AFS G2 is powerful enough for the most discriminating BI user and easy enough for any user in the organization to access and analyze data with close to zero latency. When integrated with other AFS solutions, G2 provides context-rich insights based on your solution’s data as well as integrated third-party data. This is achieved with pre-packaged KPIs and analytics that are based on best practices developed by working with hundreds of consumer goods companies. G2 is unique in offering Management by Exception functionality, which automatically alerts management to urgent business situations based on data deviations that violate or are trending to violate defined thresholds in G2 along with providing resolution alternatives. AFS offers a comprehensive integration approach designed to create synergies between multiple application types and data sources. Best of breed integration enables purpose-built applications designed specifically for your environment to operate seamlessly along with your generalized enterprise systems. It is designed to help you get the most out of your existing assets and add new capabilities that support various critical business processes such as sharing of data with partners, tapping into your ERP system or easily adding additional AFS products. This advanced integration backbone can be implemented quickly with minimum IT support. Order management is critical to your entire sales organization, both internal and external. Providing users with customer and item specific details will empower them with knowledge that can generate lift for your sales metrics. The AFS Order Management System (OMS) consolidates multiple forms of order management processes into one, allowing you to selectively deploy the elements required to enable a competitive edge. It also creates a consistent set of data regarding pricing, inventory or credit flags—which is easily accessible by your order takers, sales representatives and customers. OMS Laptop, Web and Mobile enable you to offer a varied set of order entry venues that share the same data as well as provide their respective users with the tools and information necessary to make informed decisions. AFS’s POP System is a cloud-based retail execution solution that helps your sales and marketing teams sell more by enhancing their ability to execute and win where it matters most: at the point-of-purchase. Consisting of Web-based and mobile tools, the POP system is designed to be a breeze to use and help your sales team define objectives, plan, execute, monitor, collaborate and learn. It's retail execution as you haven't experienced it before: powerful yet uncharacteristically easy to use – both for people in the field as well as in the office. AFS Retail Execution is a mobile, flexible and robust software solution designed to support field sales and merchandising in the execution of tasks designed to deliver on both the Perfect Store as well as field efficiency. Field sales are empowered to quickly manage daily in-store tasks, while management is able to analyze, execute, and optimize various sales strategies focused on shelf and category share. AFS has implemented successfully in more than 50 countries enabling our consumer goods customers to achieve success through advanced product features supported by our global deployment capability. Localized solutions by geography and channel allow our clients to optimize field sales processes related to in-store activities for merchandising and sales. AFS Retail Execution offers an industry specific set of features and functions that fulfill the core set of requirements that form the baseline for field sales execution. For advanced requirements, the product is designed with a level of configurability that allows you to address unique needs without having to customize the software. Sales force administrators can shape and distribute activities across various members of the organization structured along focused store segments. AFS Retail Execution is built on a modern architecture with workflows that benefit from the inputs of tens of thousands of users. User adoption rates and satisfaction levels remain high supported by a streamlined and rapid implementation process. Advanced integration models enable data exchange to and from multiple sources/systems, facilitating the exchange of valuable information which in turn drives actionable insights. AFS Sales Agency Management is a flexible, scalable sales management solution for small, mid-sized and national retail and foodservice sales agency organizations. It offers robust functionality covering all aspects of sales, pricing, promotions, invoicing, commission, inventory and reporting. AFS Trade Promotion Management Foodservice (TPM Foodservice) is a closed-loop solution, including an easy-to-use contract management tool, full claim validation and settlement services, and data analytics. The robust system identifies claiming errors, ensures accurate payment processing and provides rich insights to drive high-performing sales strategies. The solution enables you to work faster and smarter while settling billions of dollars across our customer base each year with rigorous audit processes that are 99+ percent accurate. AFS Trade Promotion Management Retail (TPM Retail) is a closed-loop system that helps you plan, allocate, execute, settle and analyze your trade spend with a robust set of intuitive, easy-to-use capabilities. This solution drives trade dollar visibility across your sales, finance, accounting, supply chain and marketing professionals, providing insight into retailer trends, whether the go-to-market strategy is straightforward or complex. AFS TPM Retail also helps you to quickly validate the effectiveness and profitability of your trade plans with a comprehensive and cost-effective optimization system that is tightly integrated with Nielsen’s predictive, price and promotion models. AFS Warehouse Management System (WMS) is designed to provide the level of visibility and control required to enable the delivery of the perfect order. Simultaneously it improves the overall warehouse infrastructure by providing the ability to automate manual efforts, reduce labor and inventory inefficiencies, support track and trace, and provide profitable insights. AFS WMS provides companies a foundation of best practices for receiving goods, put-away/flow-through, inventory management, order processing, replenishment, pick/pack, loading and shipping, as well as improved labor management. Extending these best practices further is a robust analytical capability designed to gain deeper insights into your operations—helping you increase productivity and uncover new business opportunities.